To find out how to plan a trip to Lisbon, use our trip itinerary maker. Campinas, Brazil to Lisbon is an approximately 14-hour combination of bus and flight. The time zone difference when traveling from Campinas to Lisbon is 4 hours. Expect a daytime high around 32°C in September, and nighttime lows around 19°C. You will leave for Porto on the 3rd (Tue). You've now added Igreja de Sao Pedro dos Clerigos to your itinerary. Visit Porto Cathedral (Se Catedral) and Teleferico de Gaia for their historical value. 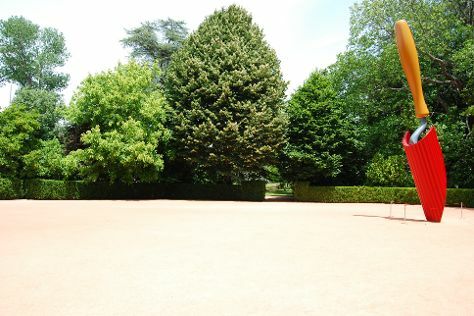 Satisfy your inner culture vulture at Museu Serralves and Graham's Port Lodge. There's still lots to do: take in the views from Ponte de Dom Luis I, learn about winemaking at Sandeman Cellars, take a stroll around Palacio da Bolsa, and explore the world behind art at Museu Nacional de Soares dos Reis. To find maps, ratings, traveler tips, and other tourist information, use the Porto vacation planning website . Fly from Lisbon to Porto in 2.5 hours. Alternatively, you can take a train; or drive. Traveling from Lisbon in September, expect Porto to be a bit cooler, temps between 27°C and 15°C. Finish your sightseeing early on the 6th (Fri) to allow enough time to drive to Braga. Referred to as the Portuguese Rome for its number churches, Braga represents an old town that today is the country's third-largest city. Situated in northwest Portugal, Braga boasts many narrow pedestrian streets, plazas, and spiritual pilgrimage destinations. Kick off your visit on the 6th (Fri): pause for some photo ops at Arch of the New Gate, take in the spiritual surroundings of Bom Jesus do Monte, and then contemplate in the serene atmosphere at Sanctuary of Our Lady of Sameiro. For photos, traveler tips, reviews, and other tourist information, read our Braga travel planner . Getting from Porto to Braga by car takes about an hour. Other options: take a bus; or take a train. In September in Braga, expect temperatures between 27°C during the day and 16°C at night. On the 6th (Fri), wrap the sightseeing up by early afternoon so you can drive to Porto. To see where to stay, photos, more things to do, and tourist information, read our Porto day trip site . Traveling by car from Braga to Porto takes an hour. Alternatively, you can take a bus; or take a train. You'll set off for Guimaraes on the 6th (Fri). The historical town of Guimarães was the birthplace of the first Portuguese king and served as the country's first capital. You've now added Paco dos Duques de Braganca to your itinerary. Kick off your visit on the 7th (Sat): pause for some serene contemplation at Cathedral of Santa Maria de Braga, get to know the fascinating history of Centro Historico de Guimaraes, step into the grandiose world of Paco dos Duques de Braganca, then pause for some serene contemplation at Nossa Senhora do Carmo Church, then get engrossed in the history at Alberto Sampaio Museum, and finally steep yourself in history at Largo da Oliveira. For reviews, photos, other places to visit, and more tourist information, use the Guimaraes day trip planner. Traveling by car from Porto to Guimaraes takes an hour. Alternatively, you can take a bus; or take a train. In September, daytime highs in Guimaraes are 27°C, while nighttime lows are 16°C. Finish up your sightseeing early on the 7th (Sat) so you can go by car to Porto. For reviews, more things to do, and more tourist information, read Porto trip planner . You can drive from Guimaraes to Porto in an hour. Other options are to take a bus; or take a train. You will leave for Lisbon on the 8th (Sun). Your cultural itinerary includes sights like National Tile Museum and Jeronimos Monastery. Visit Castelo de S. Jorge and Igreja de Sao Roque for their historical value. See even more of Lisbon: take a stroll through Belém Tower, view the masterpieces at Museu Calouste Gulbenkian, tour the pleasant surroundings at Lisbon Zoo, and snap pictures at Ponte 25 de Abril. For more things to do, where to stay, photos, and more tourist information, read our Lisbon trip itinerary maker . Getting from Porto to Lisbon by flight takes about 2.5 hours. Other options: take a train; or drive. Traveling from Porto in September, expect nights in Lisbon to be about the same, around 19°C, while days are a bit warmer, around 32°C. Finish your sightseeing early on the 11th (Wed) to allow enough time to drive to Cascais. A mere 32 km (20 mi) from Lisbon, the coastal town of Cascais has a long history of entertaining royals. Start off your visit on the 11th (Wed): visit a coastal fixture at Santa Marta Lighthouse Museum, then examine the collection at Museu Condes de Castro, then stroll through Guincho Beach, and finally take a stroll through Centro Historico de Cascais. 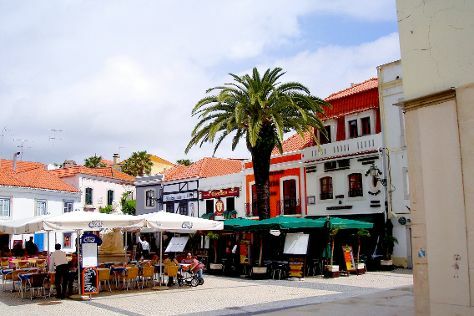 Find out how to plan Cascais trip without stress by asking Inspirock to help create an itinerary. Cascais is just a short distance from Lisbon. In September, daytime highs in Cascais are 32°C, while nighttime lows are 19°C. Finish your sightseeing early on the 11th (Wed) so you can drive to Lisbon. To find ratings, other places to visit, traveler tips, and more tourist information, use the Lisbon trip website . Lisbon is very close to Cascais. You will leave for Sintra on the 12th (Thu). On the 12th (Thu), admire the masterpieces at MU.SA - Museu de Artes de Sintra, then admire the landmark architecture of Sintra National Palace, then step into the grandiose world of Park and National Palace of Pena, and finally examine the collection at Museu do Bonsai. To find photos, reviews, ratings, and tourist information, refer to the Sintra route planner . Sintra is very close to Lisbon. In September in Sintra, expect temperatures between 32°C during the day and 19°C at night. Wrap up your sightseeing on the 12th (Thu) early enough to drive to Lisbon. To see photos, traveler tips, reviews, and tourist information, go to the Lisbon day trip planning tool . Lisbon is just a short distance from Sintra. On the 13th (Fri), you're off toQueluz. To see other places to visit, maps, reviews, and other tourist information, refer to the Queluz online visit planner . Queluz is very close to Lisbon. In September, daily temperatures in Queluz can reach 32°C, while at night they dip to 19°C. You will have some time to spend on the 13th (Fri) before leaving for Lisbon. Carmo Archaeological Museum and Museu Colecao Berardo will appeal to museum buffs. Your cultural itinerary includes sights like Capela dos Ossos and Rossio Square. Venture out of the city with trips to Convent of Christ (in Tomar), Shrine of our Lady of the Rosary of Fatima (in Fatima) and Evora (Templo Romano de Evora (Templo de Diana) & Cathedral of Evora (Se Catedral de Evora)). See some other sides of Lisbon: meet the residents at Lisbon Oceanarium, make a trip to Santa Justa Lift, go for a walk through Avenida da Liberdade, and wander the streets of Chiado. To find traveler tips, maps, more things to do, and tourist information, read our Lisbon trip planner . Lisbon is just a short distance from Queluz. Finish your sightseeing early on the 17th (Tue) to allow enough time to travel to Monte Alegre do Sul.